Citizens Financial Group, Inc. is one of the oldest and largest financial services firms in the United States. Headquartered in Providence, Rhode Island, where its roots date back to 1828. Citizens was seeking a new customer experience and branch design. They had identified branches that were either oversized, under-invested, or would needed to be relocated and were seeking a design program that would be highly modular and repeatable, and could be implemented. Citizens challenged the design team—Design Made, working in collaboration with NCR—to develop a fully modular solution that would allow Citizens to modify the branch program with ease—the final solution allowed for the changeover, for example, from a teller counter to an advisory office in less than one day. The design team developed an inventory of every necessary component within the new branch design and developed a completely new design consisting of a series of interchangeable modules. Boyce Products worked with the designer to develop and engineer the final solution into a simple kit of elements and modular assemblies. The final solution consisted of only several wall panel sizes, providing a simple finite system. Boyce developed and built a fully-functioning prototype of the new branch and installed the branch on the second floor of one of the Client’s office buildings. 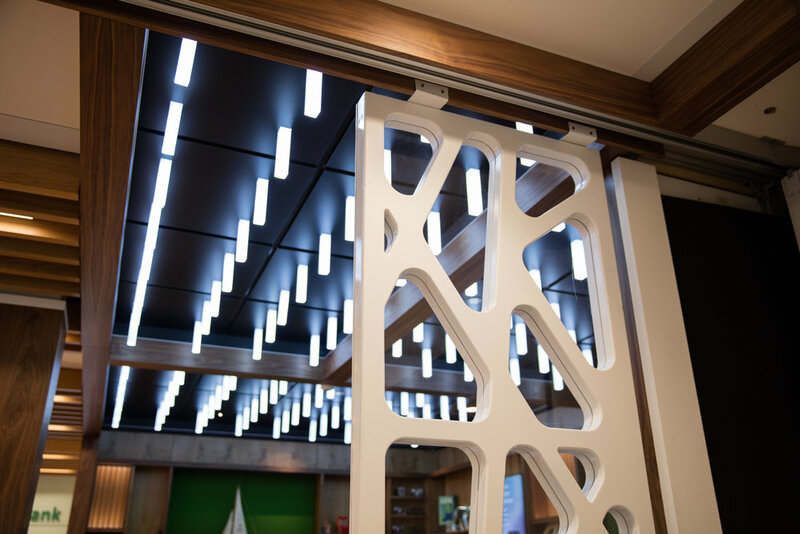 The prototype was a complete 2000 square foot fully-functioning, fully-modular retail branch including an exterior storefront, entry, and integrated media lighting and HVAC. The prototype was installed over a three-week period. The new design and engineering included patented solutions and new product innovations, including the next-generation of Boycewal, and the Icicle ceiling lighting that fits into any standard suspended ceiling grid systems.